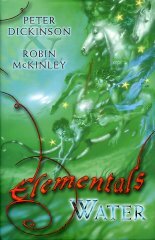 Robin McKinley and her husband Peter Dickinson together wrote the short stories in 'Elementals'. Robin also publishes books on her own. Six short stories about ancient, elemental spirits, and water. Not just for children.